Dental 3D printing is additive manufacturing used to create 3-dimentional image for incorporating several layer of image for building material. These objects are produced from a digital 3D blueprint like a computer-aided design or MRI scan. These devices allow the designers to make changes in the design without any additional tool or equipment. Dental 3D printing combines high quality 3D printing technology with a wide variety of dental materials. This technology is adopted by dentists, orthodontists, and dental labs. It is cost effective and allows for extensive customizations that allow for better designing. This allows dental practitioners to design the product based on the various factors of patient like age, height, weight, and medical history. These methods can be used by dental practitioners to replace teeth, veneers, crowns, and inlays in a single sitting. Dental 3D printing allows designing of dental crowns, prosthetics, implants, bone replacement, and customized devices based on requirement. Major dental 3D printing devices: Planmeca Creo (Planmeca), Form 2 (Formlabs), Mysint 100 (Sisma 3D), Moonray (SpintRay), Projet MJP 3600 (3D Systems), Project 6000(3D Systems), Roboze one (Roboze S.r.l.) etc. Developed economies such as the U.S., U.K., Germany, and France experience high rate of adoption due to better healthcare facilities and easy availability in these countries. As per the report of the American Academy of Periodontology, in 2012, around half of the adult population in the U.S. suffered from gum disease, of which 47.2% were reported to be suffering from periodontitis. This number is expected to increase significantly over the forecast period, owing to increasing changes in lifestyle and growing geriatric population Increasing number of dental clinics and hospitals and growing number of experienced dental practitioners in Asia Pacific region, supplemented by rising influx of dental tourists is expected to significantly boost growth of the dental 3D printing devices market in these regions. Companies are focusing on launching new devices to the market with advanced features and technology to provide better imaging facilities to the practitioners for service, for instance, GE Healthcare are prepared to utilize 3-D printing technology in ultrasound probes previously used in medical services for diagnosing the health of a fetus, although now the technique is useful where any type of noninvasive inspections are being carried out. Furthermore, in March 2015, Germany-based Bego launched a new system with a unique cartilage system that allow multiple materials to be used at the International Dental Show. In May 2016, Planmeca launched a new 3D printer with powerful 3D features that fulfills demands of cheap and high quality image of additive manufacturing in healthcare. The global dental 3D printing devices market is highly fragmented, owing to the participation of many established and emerging players in the dental imaging market. 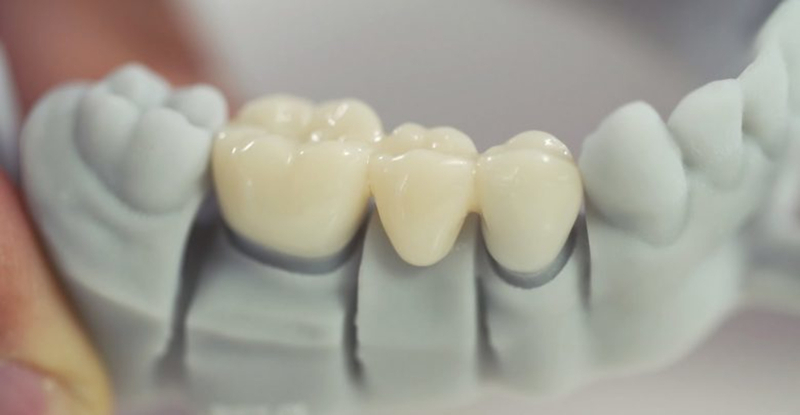 Various players in the dental 3D printing devices market are integrating proprietary technologies of 3D printing to develop with novel products and product advancements in order to differentiate their offerings. For example, 3D System Corporation projet 3510 MP would use 3Shape Implant Studio, which includes implant planning and surgical guides for the patient that benefits the patients by reducing chair time and provides digital accuracy by reducing manual errors. The combination is expected to manufacture fully functional dental implants. Some of the major players involved in the dental 3D printing devices market are EnvisionTEC, Javelin Technologies, Formlabs Inc., 3D Systems GMBH, Stratasys, Prodways, Roboze, and ASIGA.